The project included building 15 bridges, new interchanges at Warrell Creek and Bald Hill Road and access ramps at North Macksville. 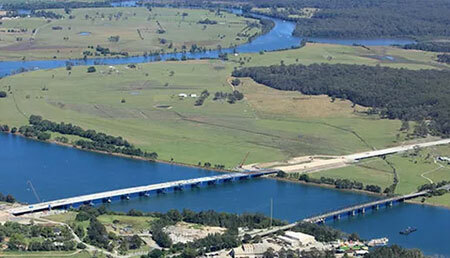 The $830 million project was jointly funded by the Australian and NSW governments. The project opened to traffic in late 2017.